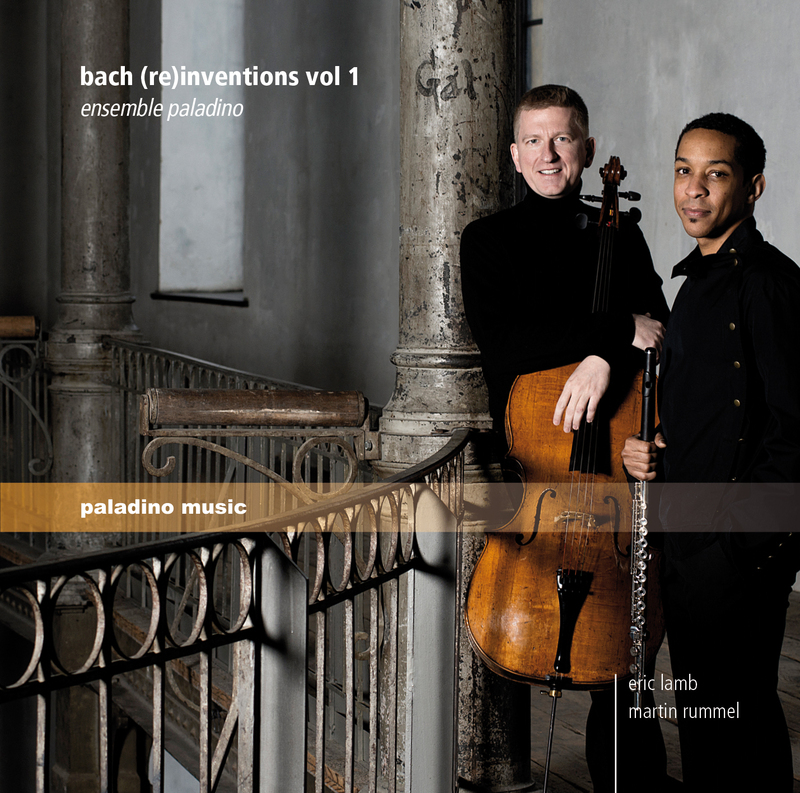 paladino blog: "Bach (re)inventions vol 1 - The Making Of"
various pieces from "Notenbüchlein für Anna Magdalena Bach"
It is a special recording for me, obviously. Not only because it combines my love for Bach's keyboard works with playing chamber music, but naturally because who it is with in this case. In December 2012 Eric and I looked into the possibilities of a duo disc and were in immediate agreement that it should not be the obvious Villa-Lobos plus some contemporary music - that we leave for later. About twenty years ago I made an arrangement of the Two-Part Inventions for two cellos and having played the successful transkription of the Goldberg Variations I thought that actually Bach's strictly two-part writing in some of his keyboard music could be suitable for a project like this. The Two-Part Inventions were the obvious choice and the search for the repertoire that would fill the rest of the CD was one of the things that we did in the extremely snowy days of the ending year 2012. We played a lot of Bach in those days and ended up with a selection of all sorts of pieces from English and French Suites, Partitas and the Notenbüchlein. Having played the repertoire for the recording to a few friends at home, we then decided to break up the strict order of the inventions and rather compile the recording in a way that it is colorful and interesting for the listener. Looking at the tracklist only might seem like a random selection (which it is in one sense) but listening to the disc hopefully makes it a convincing compilation. Between the invention of the project and the actual physical product were exactly eight weeks - talk about a fast turnover!